So begins the opening of the Preamble to our national Constitution. If you research the preambles of other countries’ constitutions, you will find that ours is not unique as many of them also make reference to their constitutions being ordained and formed by “the people”. However, all of these other constitutions came after ours – the ideals of our Constitution have served as the model for numerous others around the globe. I would expect such an observation to come from someone who was unfamiliar with our Constitution and who had never read the defense of its ratification made by its authors in The Federalist Papers, but not from someone who sits on the highest court in the land and is charged with applying the tenets of the Constitution to the cases that come before that court. Yet, that is the perspective of the leftists in our country today. Our preamble reflects a radical change in government – that power flows upwards from the people, not downward from those sitting in the seat(s) of power. Critics today charge that the Constitution was not a product of the people, but by a bunch of rich, slave owning white men. Unfortunately, too many of our fellow citizens, educated by the leftists who control our educational institutions, believe this to be true. Yes, they were white men, some were wealthy, but not all of them were slave owners – in fact several argued and wanted to outlaw slavery in the Constitution. That they did not do so is not because they owned slaves or supported slavery, but because they knew without some concessions on that issue, no Constitution would be forthcoming and America would disintegrate and be swallowed up by the European powers. Those who gave us our Constitution were appointed by the legislatures of their respective states, who in turn were individuals elected by the citizens of the states. It was either the legislatures or special conventions appointed by the people who debated and ratified the Constitution, and in the case of Rhode Island, it was ratified by the direct election process of the people (albeit not until May 1790 because the people initially rejected the Constitution). Furthermore, if the people had no say in the ratification of the Constitution, then why did the Federalists in the Federalist Papers address their essays “To the people of New York”, and those of the Anti-Federalists style those to the people in the states wherein they lived? 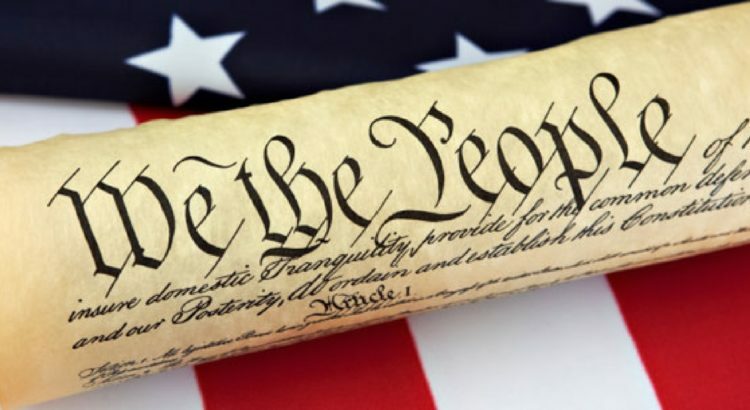 Clearly, our Constitution is indeed sourced by “We the people”, and because it is, the government it framed and created is accountable and answerable to us. Therefore, since the government came from us, those in power should be warned that we have the right, as Jefferson so eloquently stated in the Declaration of Independence, to abolish it and erect another one that will protect our right to life, liberty and the pursuit of happiness from the tyranny of government – even one that has lost its moorings from its charter document. When I go into classrooms of junior high or elementary schools during “Constitution Week” and talk to the students about our Constitution, I explain to them that a constitution is simply the “rules of the game of government”, just like the rules of any board game they might play. A constitution dictates to all those involved in the governing of their fellow citizens how they are to govern and the limits to their powers. That having been said, as I pointed out in my last essay (“Constitutional Relevancy?”), a constitution is only as relevant and worthwhile as those in power follow and adhere to it. It is safe to say that every government of man has “a constitution”, be it written or merely understood. Every government is understood by the citizens as to how it will operate, be it an absolute monarchy, a repressive dictatorship (whether of one or several), or a republic. In light of that, I will present for you the elements of another nation’s constitution to illustrate my point. Some of these “rights” listed sound very familiar to those of us to know and revere our Constitution, while some seem a little more like those espoused by the likes of the Socialist Senator Bernie Sanders. It should not be surprising that those that sound like Senator Sanders’ political platform are articles of the 1936 Constitution of the Soviet Union (I purposefully deleted “the USSR” in these quotes where you see the brackets) since Senator Sanders chose to honeymoon with his bride in the USSR back in 1988! Based on history we can see just how well this constitution worked out. 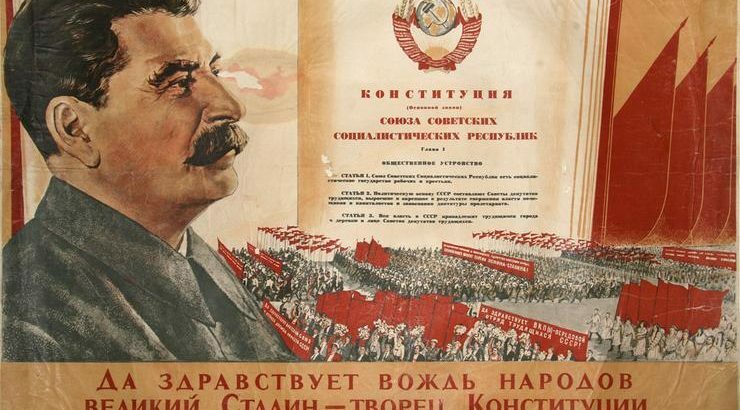 Stalin’s constitution (as it was also known) is regarded by many as nothing but a propagation constitution, for most of its articles expound how power was to be concentrated solely in the hands of the communist party. Despite the platitudes of guarantees to the basic freedoms we take for granted, they were never recognized by Stalin and his successors. Those on the left today would very much like to rewrite our constitution to more closely follow those of the Stalinist Constitution rather than the tried and true guarantee of individual freedom in our 230-year-old US Constitution. Clearly, as I’ve argued before, a constitution is nothing but a piece of paper inscribed with ink. Unless a country has leaders of integrity who are faithful to their oath to uphold the tenets of their constitution in guaranteeing the freedom and liberties of the people, that constitution is just a piece of paper – nothing more, nothing less. In subsequent essays I plan to take a look at what makes our Constitution so special and why it was written the way it was compared to other constitutions such as the one I’ve contrasted in this essay.